What a wonderful Fete this year! The weather held out, in fact it was sunny for most of the day. Visitors came and a great time was had by all who did. 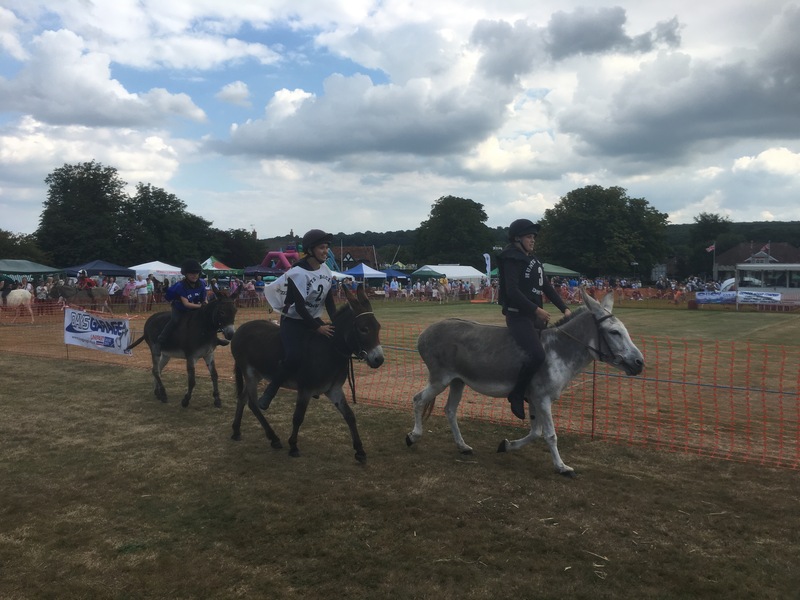 The Donkey Derby was as successful as ever, with no serious injuries to the riders despite a couple of falls! It appeared that Number 2 donkey was the most successful this year. Maybe a tip for next year? The Fete had a variety of stalls offering everything from a very fiery chilli jam, to jewelry, books, bric-a-brac and competitions ranging from a raffle, lucky dip, a tombola and target practice through a loo seat! 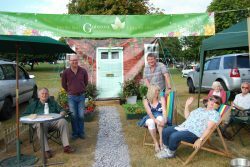 There was even a ‘pop-up’ garden from the Gardeners’ Club who were there to try and recruit some new members. The afternoon was compared by Neil Munday from Susy Radio and visitors and stall holders alike were very much entertained. Many thanks to the brilliant Fete Committee and all the volunteers for another great Village Fete!